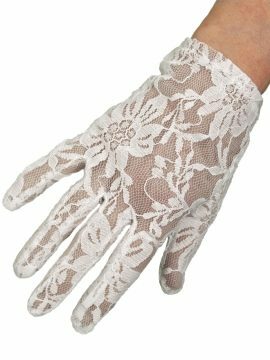 The long lace gloves are made in a lovely soft sheer stretch net lace fabric with a pretty floral design in pink, yellow and green on either a black or soft white background. 'One Size Fits Most'. 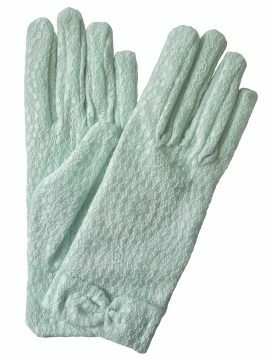 NOTE: The stretch in these gloves is limited, and so are most suited to those with fairly slim arms. By Dents. 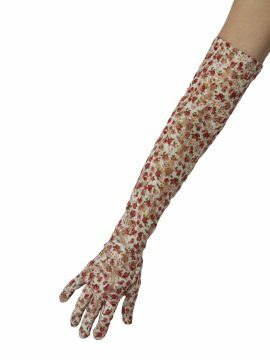 Please see our Product Description below for full details and important sizing information. 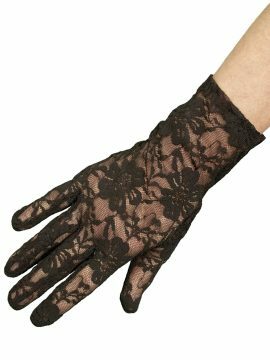 Beautiful lace dress gloves in a vintage style by Dents in finest quality stretch lace fabric - a lovely accessory for your outfit, vintage, retro or modern. 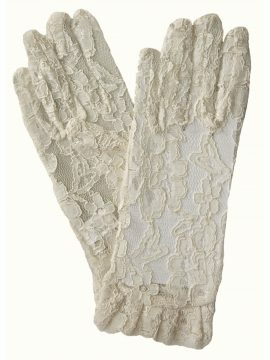 These lace gloves are an extra short length, reaching just to the wrist. 'One Size Fits Most'. 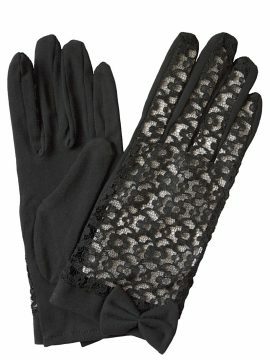 Available in black, taupe (pale brown) and white. 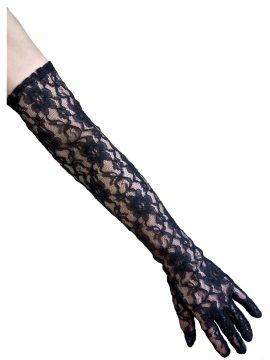 Please see our Product Description below for full details and important sizing information. 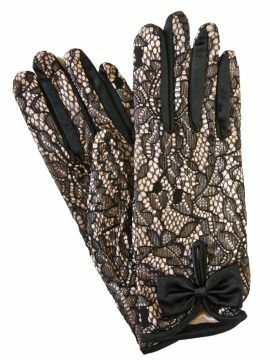 These are lovely elegant long lace gloves by Dents with beautiful intricate lace work to complete your outfit, whether you are wanting to step back in time or it's for another formal occasion or something just for fun. 'One Size Fits Most'. 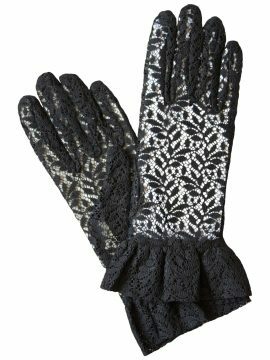 Available in black, white and champagne. Please see our Production Description below for full details and important sizing information.